Pip’s is a pip. It’s over designed, too big, and probably in the wrong hotel, but the food is fantastic, and the wine selection is palpably palatial, parsimoniously priced, and impeccably palatable. Of course you’d expect it to be that good because its pedigree — courtesy of (former Caesar’s F&B honcho and uber-wine guy) Rino Armeni — is unimpeachable. Pip’s preparations — of every thing from panzerotti (small calzoni stuffed with mozzarella and marinated tomatoes) to polpettes (meat ball sliders) are also practically perfect, and Chef Gerald Chin’s prepensely prepared spaghetti pomodoro is prescriptively precise. The principally preferred potent potables at Pip’s are the Enomatic-ally dispensed wines by the glass. Over thirty are available, from (wait for it….) primitivos to pinot grigios. Alliteration notwithstanding, Chin’s menu is mercifully short, well-executed and reasonably priced. The hinterlands (way north where Aliante is located) won’t support $40 entrees these days (who will? ), so Armeni keeps it real with lots of apps under fifteen dollars, almost all the pastas well under twenty, and mains no more than thirty. Chin (who is half Chinese, half Puerto Rican and all-Italian in his cooking) isn’t trying to dazzle with his footwork, but he turns out excellent, true-to-their roots versions of Italian-American staples that demonstrate why this cuisine got so popular in the first place — before corporate chains condemned it to restaurant oblivion. A fonduta (fondue for two) is the perfect start to a meal (or a meal in itself if you want it to be), and the perfect, interactive, wine-friendly nibble to get you acquainted with the joint. At the drop of the hat, Armeni will chat you up about his wine list, or give you a personal tour of the on-premises cellar, and the aforementioned Enomatic. Whether your preferred perch is partaking at the bar or a table, the next item to order should be either the superior arancini (breaded rice balls), or the superb carpaccio (sliced, raw tuna with grilled eggplant on a crisp bread with basil oil). We tried to like the tria (fresh and fried hand cut pasta with cherry tomatoes), but found it prohibitively problematical. In ELV’s opinion, fresh and fried pasta go together about as well as pesto and peach melba. When we offered this criticism to Armeni face to face, he took it like a man, and we agreed to disagree…like the gentlemen we are. ELV also observed to Armeni that Pip’s may be too hip for the room. As in: the crowds in this neck of the woods seem more like TGI Friday’s fans, than folks who fancy good Italian eats. But give the big guy credit; he’s raised the bar for food and wine in this neighborhood in one fell swoop, and with a little luck, Pip’s propitious presence will provide the purblind hoi polloi a praiseworthy promontory from whence their provincial pedestrian path to paltry provisions will be permanently proscribed. Or something like that. Dinner for two should run around $100-$150, depending upon how crazy you get with wine. Egads! This place is way north of everything! The Strip, downtown, Henderson, Southpoint, GVR, Boulder City, everything! Besides the (Las) Vegan natives, would anyone else venture out there? I’m willing to go, only if The Food Gal can come with me. Anyone in North Las Vegas should immediately check this place out. Those in the other parts of the Valley, who don’t mind a little bit of a drive, will be well rewarded with some great Italian food and wine at very reasonable prices. The restaurant also offers daily dinner specials and monthly wine specials. It’s truly a hidden gem and worth the effort to get there! I welcomed a restaurant like PIPS to our neck of the woods as we too deserve to enjoy real food, unlike the comment made in the article that reads..As in: the crowds in this neck of the woods seem more like TGI Friday’s fans, than folks who fancy good Italian eats. Please…TGI Friday’s is an absolute joke and shouldn’t be used in the same write up as PIPS….the food is exquisite and although the service is somewhat slow, it is definitely a diamond in the rough…. On Thursdays, they have 50% off all wine and food in the bar! It is a great deal, and the snacks are tasty and the wines are reasonably priced. Check out the February issue of VEGAS magazine for a great feature story on Pips. It will definitely make you want to check it out for yourself. Yeah, rjwong (reply #1) needs to realize that not everybody in LV lives in the Southern part of LV….we have Vegas natives up north too! And to tell you the truth, I’m tired of driving to the strip and Henderson and Spring Valley just to enjoy some finer things! So, I’m glad that Pips is up here!! That’s less commute time I’m paying for the babysitter, so I can go enjoy a nice meal! Definitly will be going back and enjoying authenticity! Just had a fantastic meal at Pips, service is excellent, food is very very good, atmosphere is over the top. Reasonably priced, healthy portions. Be sure to say hello to Rino, he’s worth the visit by himself. 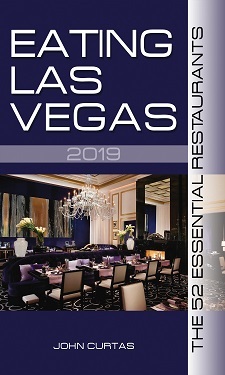 Be sure to vote in the Best of Las Vegas poll. Tripolini or “little bows” were given the name to recognize the Italian conquest of Tripoli in Libya.